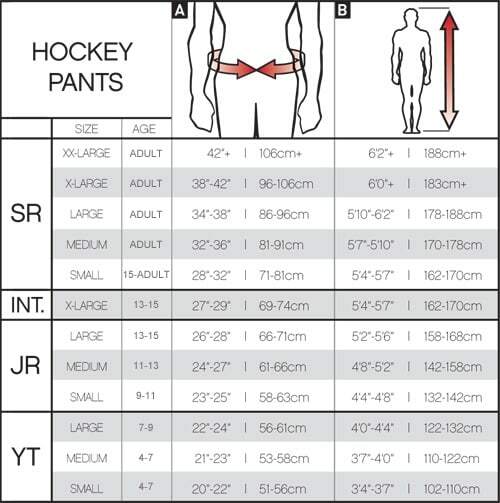 CCM Tacks 7092 Hockey Pants - Junior is rated 5.0 out of 5 by 3. The brand new CCM Tacks 7092 Player Pants are designed with elite-level protection without the top of the line price tag. These anatomically fitting pants offer a strong balance between protection, comfort and customization. You can add a 1-inch extension to the length using the hidden length adjustment zipper. You can also adjust the spine protection in the back. These pants are constructed with Pro 400D nylon with side panel reinforcement which reduces the weight of the pant while maintaining durability. The Tacks 7092 pants are all about protection. The hip area has a JDP cap reinforced with D3O lite material which offers high-level protection of the hip while directing the force of impact away from the hip. Additionally, the kidney areas are protected by molded PE pro-level foam. The adjustable HD foam floating spine with D3O lite foam offers maximum customized protection in the lower back. The thigh guard comes with molded PE foam offering high-level protection to the thigh area. Overall, these pants offer the high-level protection and features that you would expect from a pro pant with an added benefit of customization without the top of the line price tag. The CCM Tacks 7092 pants are battle tested and ready to roll! Hip Padding: JDP cap with D30 Lite Type of protection covering the hips. Lower Back Padding: Adjustable floating spine with D30 Lite Type of protection covering the lower back. Rated 5 out of 5 by Oldgmom from Great protection! Bought this for my grandson! The extra protection will help him!